Partial Products Multiplication How to multiply multi- digit numbers. 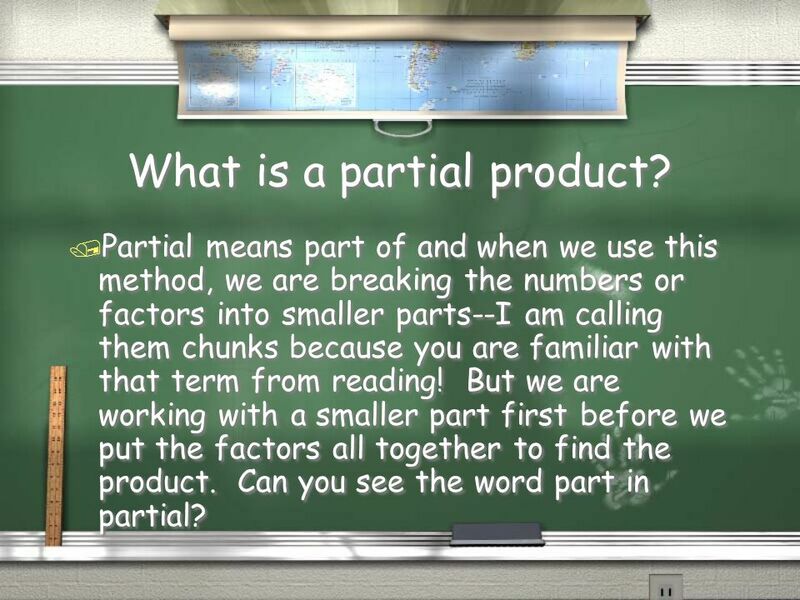 3 What is a partial product? / Partial means part of and when we use this method, we are breaking the numbers or factors into smaller parts--I am calling them chunks because you are familiar with that term from reading! But we are working with a smaller part first before we put the factors all together to find the product. Can you see the word part in partial? 8 Step 5 / Check your work! / 1. Did you add all the parts? Did you add them all correctly? / 2. Are your place values aligned correctly? / These two points are very important and usually where any mistakes are made. / Check your work! / 1. Did you add all the parts? Did you add them all correctly? / 2. Are your place values aligned correctly? / These two points are very important and usually where any mistakes are made. 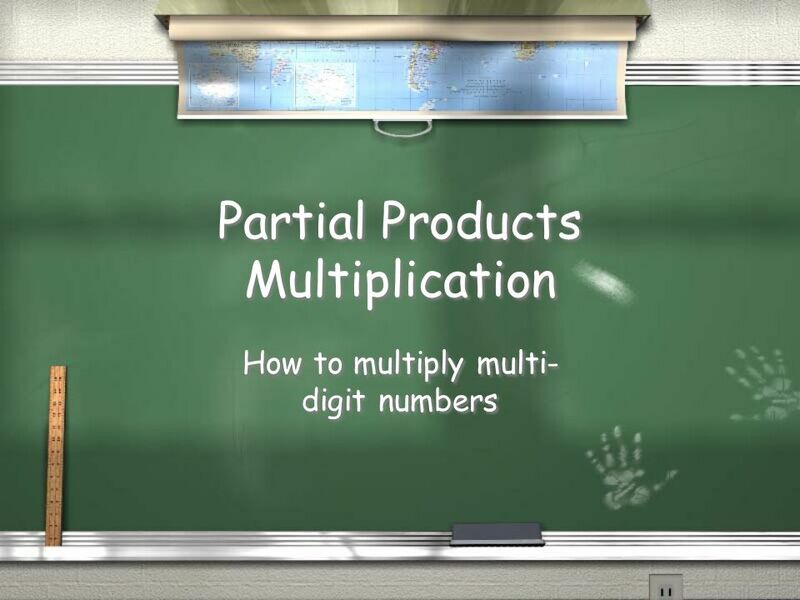 Download ppt "Partial Products Multiplication How to multiply multi- digit numbers." The Distributive Property. The distributive property is mental math strategy that can be used when multiplying. 43 x 5 =? Teaching Sight Words To Your Child…. Remember, before you begin…. Make 2 copies of the words on index cards. What is addition? How else can we say add? Multiplication Practice Do you know how to multiply with double digits? Division Algorithms By: Jessica Nastasi. Factoring Quadratic Expressions ax 2 + bx + c. 2x2x 3x3x +3 – 4 Setting the Stage Do you remember how to multiply these together? (Referred to as FOIL. Long Multiplication What is long multiplication? 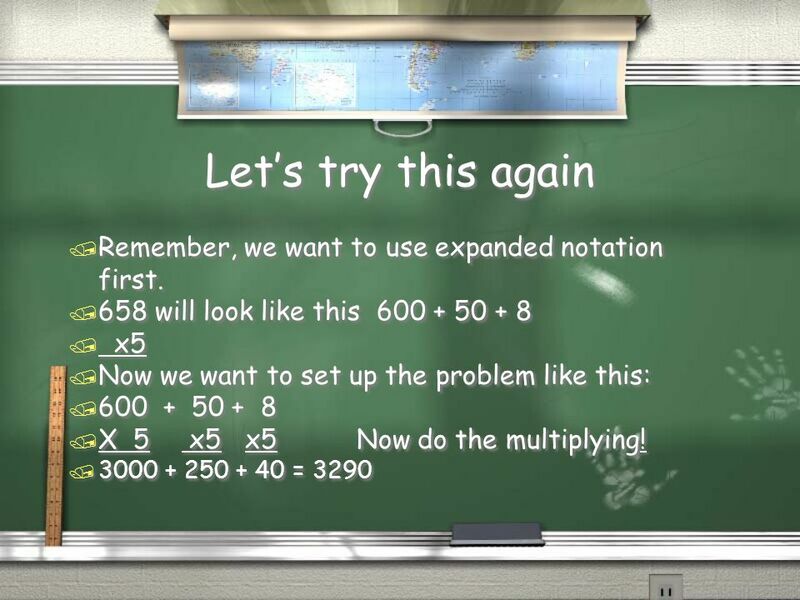 Seek The Multiplication Treasure Copy this problem. Multiply the factors in the top row by the digit in the ones place in the second factor. Multiplication. 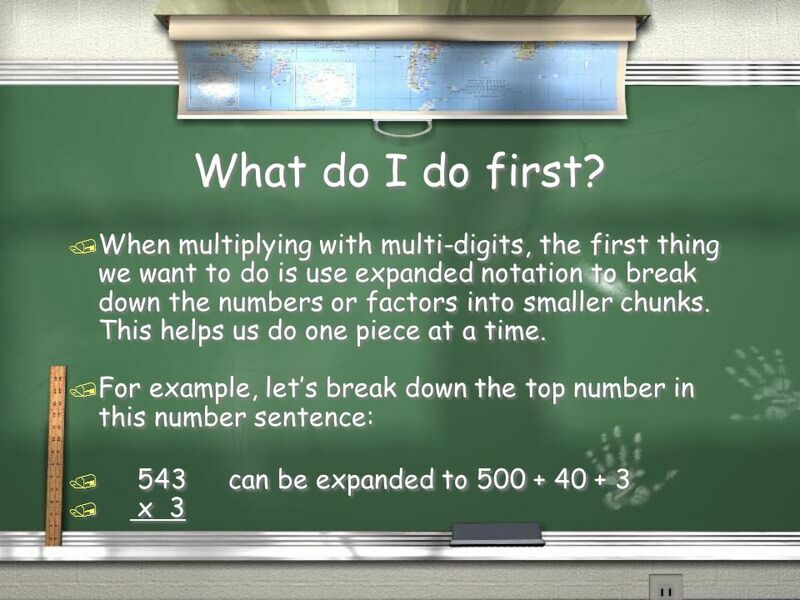 Multiplication is increasing the value of a number by adding in equal sets. 3 x 4 means add 3 together 4 times Multiplying. 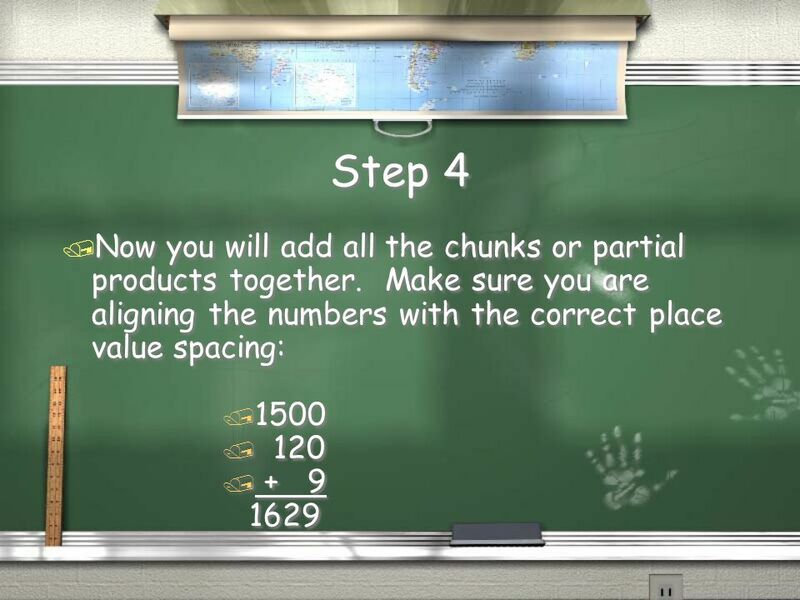 Multiplying and dividing by 10 and 100 is easy….. …when you know how! Equations & Brackets.. You are now going to solve more complex equations by combining together two ideas that you have seen already. Try the following. Partial Sums An Addition Algorithm. By John Frezza Click here to begin slide show 76 15 ? 64 60 Difficult! Confusion! Too Hard ? ? ? ? ? Multiply Why! Help Me!